As you may know that I lived in Indonesia, an archipelago country that contain many big and small island. There are 5 biggest island in Indonesia that well known for the most : Sumatra, Java, Kalimantan, Sulawesi and Papua. Maybe Bali island is the most popular for people to heard because of its natural beauty and amazing beachs. Me myself is living in Java island, in Jakarta city for exactly. 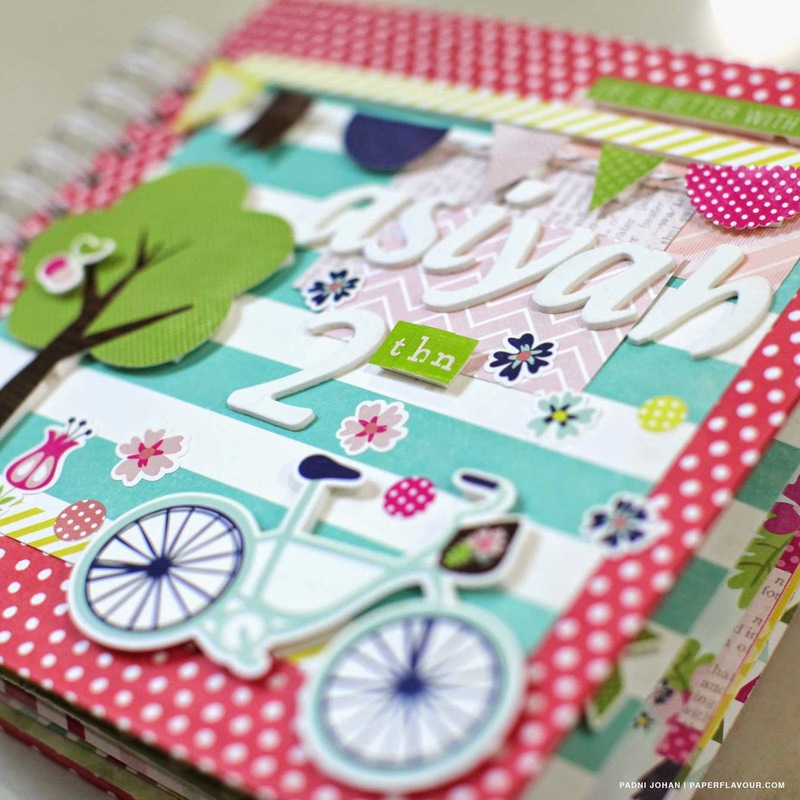 During this 4 years of my scrapbooking activities, I often receive orders to make scrapbooks, mostly from people who lived in Java island. 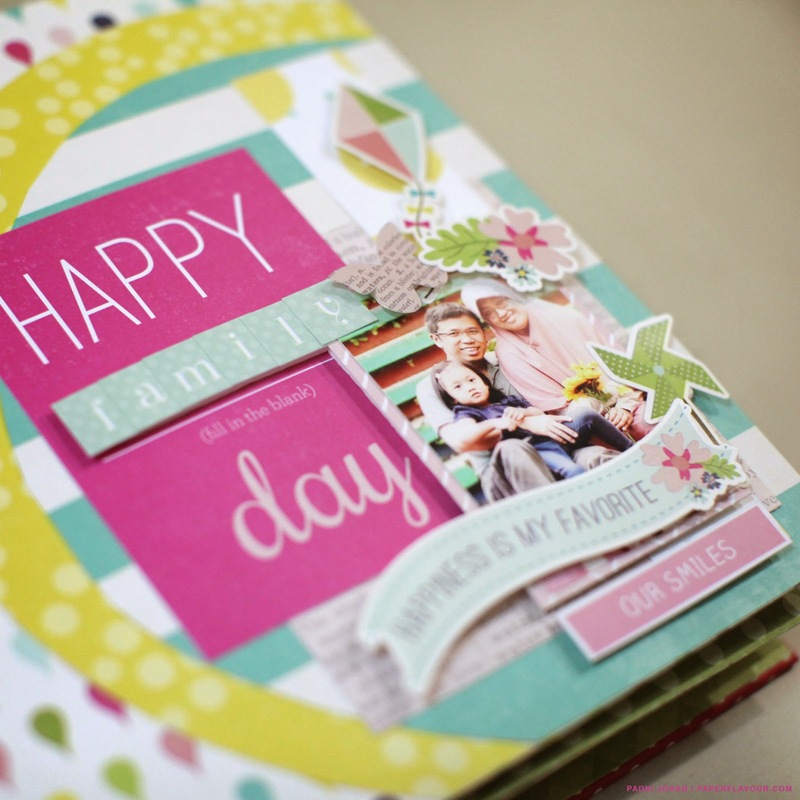 One day I got an email from a lady who lived in Kalimantan, she asked me to make a 20x20 cm Scrapbook Album that using her family photos, what I love the most is she is a good customer, she trust me with my scrapbook style and working, and this order is from Kalimantan, which is I feel so excited to have a new scrapbooking order from outside of my island where I lived right now. For me its kinda like collecting 'orders' from every island in the country. 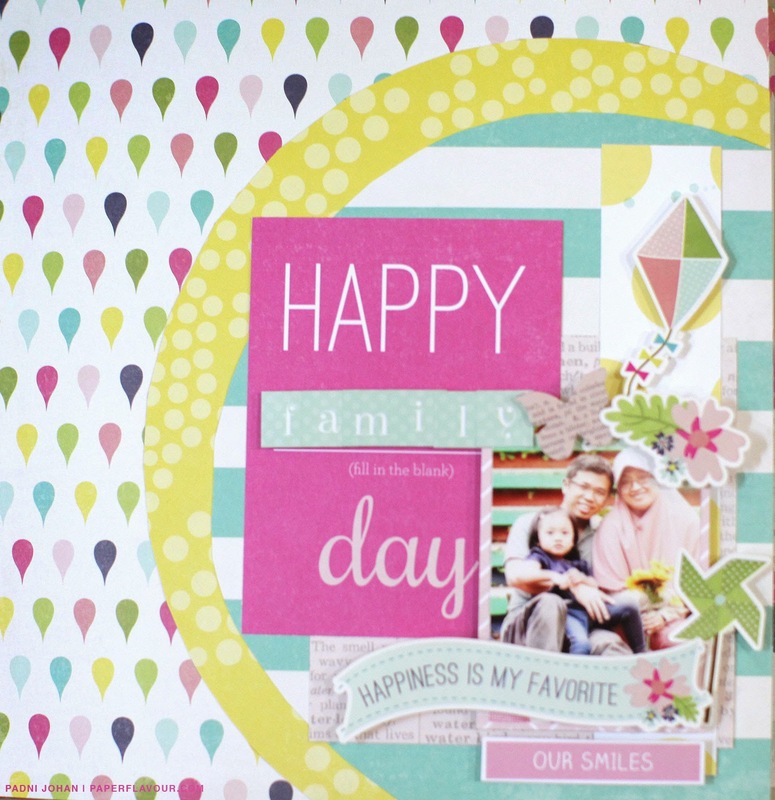 For this scrapbook album I use mostly collection from Echo Park Paper :) Yap, I adore the scrapbook products from EPP. It's so fab and pretty. Please take a look below. For the first page below I use sketch from SOUS/Stuck on U Sketches, this is the Scrapbook Challenge where I become their Design Team. 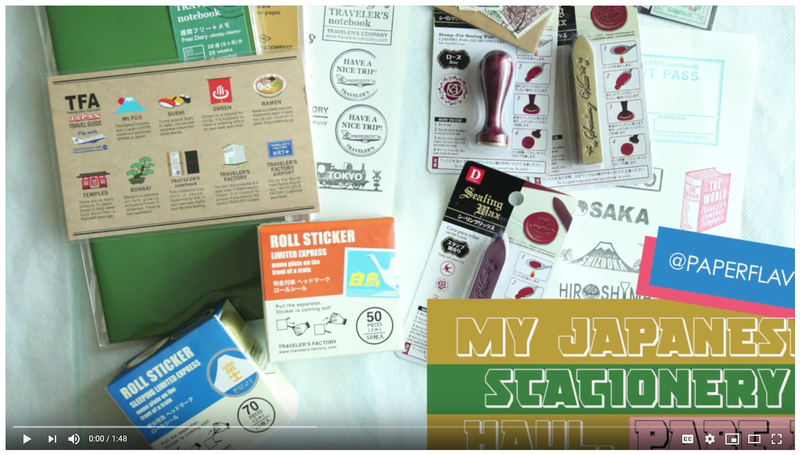 You can visit SOUS and join the challenge to win fab prizes! Wow! 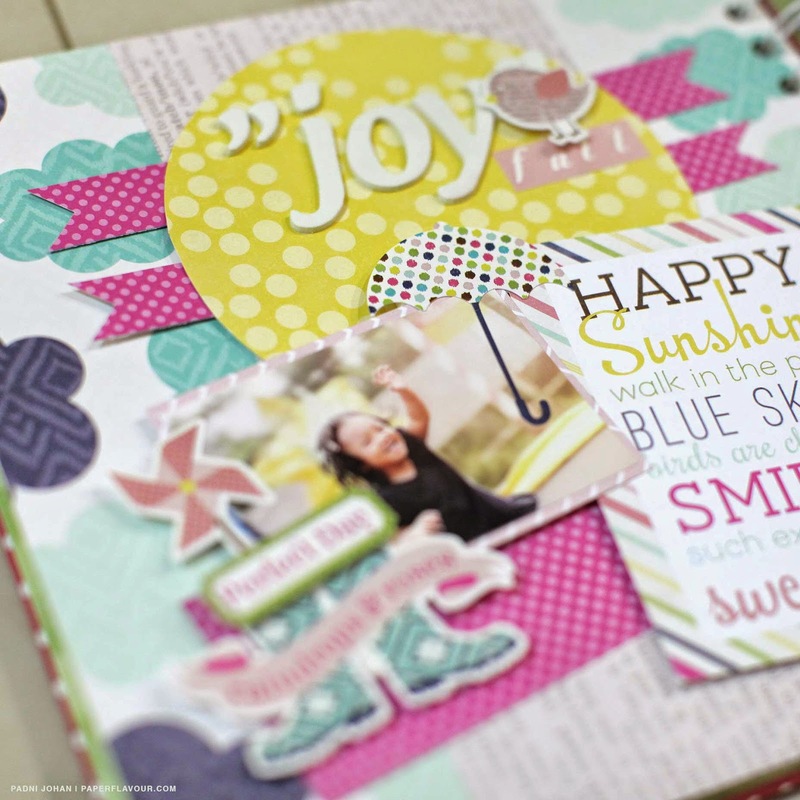 Gorgeous layout, Padni :) Gorgeous color & great choice of papers!